The Japanese have a good strike rate when it comes to exporting animation and entertainment formats. But they have struggled with drama. There are a few reasons for this but, when it comes down to it, the core problem is that scripted shows that work in Japanese primetime don’t travel that well. The country’s leading players want to do something about this because the revenues they are generating from the domestic media market aren’t as strong as they used to be. So now they are looking at formats and coproductions as ways of building up their international profile and generating a new revenue stream. They are also starting to ask themselves if there is a way of making shows that can tap into the world drama zeitgeist that has propelled Korean, Turkish, Nordic and Israeli drama around the globe. There were a couple of examples of the way Japan is seeking to shift its mindset at the Mipcom market in Cannes this week. One was a deal that will see Nippon TV drama Mother adapted for the Turkish market by MF Yapim & MEDYAPIM. The new show will be called Anne and will air on leading broadcaster Star TV. It’s the first time a Japanese company has struck this kind of deal in Turkey. 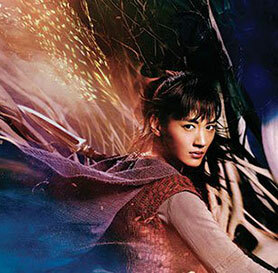 Also this week, Japanese public broadcaster NHK screened Moribito II: Guardian of the Spirit, an ambitious live-action fantasy series based on the novels of Nahoko Uehashi – likened by some to JRR Tolkien’s epic The Lord of the Rings. Produced in 4K and HDR, this is the second in a planned trilogy of TV series, the first of which consisted of four parts. The show has been attracting interest from channel buyers beyond Japan’s usual sphere of influence, suggesting the country may be starting to have the kind of international impact it wants. Interestingly, NHK brought the actor Kento Hayashi to Cannes to help promote the Moribito franchise. Hayashi also starred in Netflix’s first Japanese original, Hibana, another scripted show that has captured the attention of audiences and critics around the world. 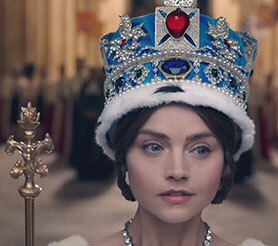 Away from Japanese activity, companies that had a good week in Cannes included ITV Studios Global Entertainment, which said its hit period drama series Victoria has now sold to more than 150 countries, including new deals with the likes of Sky Germany, VRT Belgium and Spanish pay TV platform Movistar+. It also sold comedy drama Cold Feet – renewed for a new season in 2017 – to the likes of NPO Netherlands, ITV Choice Africa, Yes in Israel, TV4 Sweden and NRK Norway. Further evidence of the appeal of lavish period pieces came with the pre-sales buzz around Zodiak Rights’ Versailles, which is going into its second season. At Mipcom, the show was picked up by a range of broadcasters and platforms including BBC2 (UK), Amazon Prime (UK), C More (Sweden, Norway, Denmark and Finland), DirecTV (Latin America) and Movistar+. 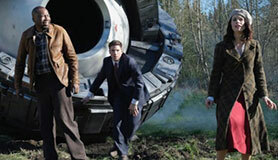 Moving beyond period pieces, other shows that cut through the promotional clutter included Sony Pictures Television (SPT)’s time-travel drama Timeless, which sold to the UK’s Channel 4 to air on its youth-skewing E4 network. The show was also picked up by the likes of OSN in the Middle East, Fox in Italy, AXN in Japan, Viacom 18’s Colors Infinity in India and Sohu in China. SPT also sold new sitcom Kevin Can Wait to Channel 4 in the UK, though perhaps the most interesting Sony-related story at Mipcom was the news that its international television network group AXN has joined forces with Pinewood Television to a develop a slate of six TV drama projects. The series will be financed in partnership between Sony Pictures Television Networks and Pinewood Television. The plan is for them to air on AXN channels in Latin America, Asia, Africa and Europe, with a programming emphasis on high-impact action, crime and mystery. The deal was brokered by Marie Jacobson, executive VP of programming and production at SPTN, and Peter Gerwe, a director for Pinewood Television. Other high-profile dramas to attract buyer attention at the market this week included StudioCanal’s Swedish-French eight-hour drama Midnight Sun, picked up by ZDF in Germany, SBS in Australia, HOT in Israel and DR in Denmark. 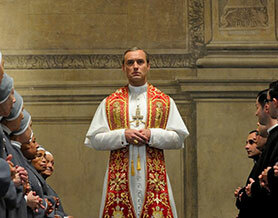 Distributor FremantleMedia International licensed its big-budget series The Young Pope to Kadokawa Corporation in Japan, while Twentieth Century Fox Television Distribution licensed The People v OJ Simpson: American Crime Story to French pay TV operator Canal+. Another show that enjoyed some success this week was DRG-distributed The Level, a six-part thriller that was picked up by ABC Australia, UTV in Ireland, TVNZ in New Zealand and DBS Satellite Services in Israel, among others. Produced by Kate Norrish and Polly Leys, joint MDs of Hillbilly Films, the show follows a reputable cop with a secret that is about to unravel. The show has previously been picked up by Acorn Media Enterprises for the US market. Reiterating the growing interest in non-English drama, Global Screen enjoyed some success with Rivals Forever – The Sneaker Battle, which tells the true story of how brothers Adi and Rudi Dassler set up Adidas and Puma. France Télévisions acquired free TV rights and will air the series in early 2017 on France 3, while Just Entertainment in the Netherlands has landed video, pay TV and VoD rights. Other buyers included DR (Denmark), FTV Prima (Czech Republic), LRT (Lithuania) and HBO Europe (for Eastern Europe). Turkish drama successes included Mistco’s sale of TRT period drama Resurrection to Kazakhstan Channel 31. Eccho Rights also sold four Turkish dramas to Chilean broadcaster Mega. The four shows were all produced by Ay Yapim and include the recent hit series Insider. This continues a good run of success for Turkish content in the Latin American region. Participant Media CEO David Linde also talked about the way his company is starting to extend its influence beyond film into TV and social media. Known for movies like An Inconvenient Truth, Food Inc, Snitch and Spotlight, the firm’s expansion into TV will see a new series about journalists breaking stories, developed by the team behind Oscar winner Spotlight.